Armenian opposition supporters demonstrate in downtown Yerevan. Photo: AFP. 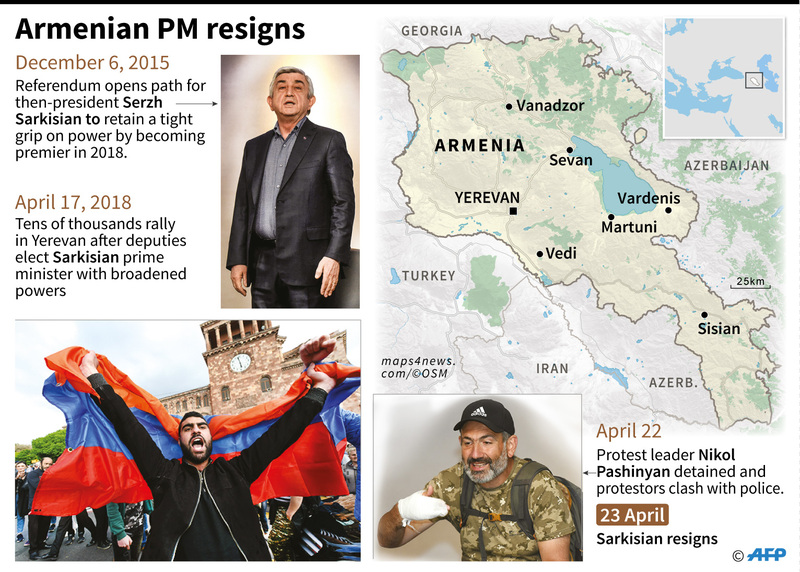 After days of protests, Armenia’s 63 years old prime minister, Serzh Sargsyan, unexpectedly stepped down, an unusual move for entrenched leaders in the region facing the people’s wrath. Sargsyan’s ouster in this post-Soviet republic of 3 million didn’t stabilize the country, with demonstrations continuing over fears that the ruling party is unwilling to cede the power. 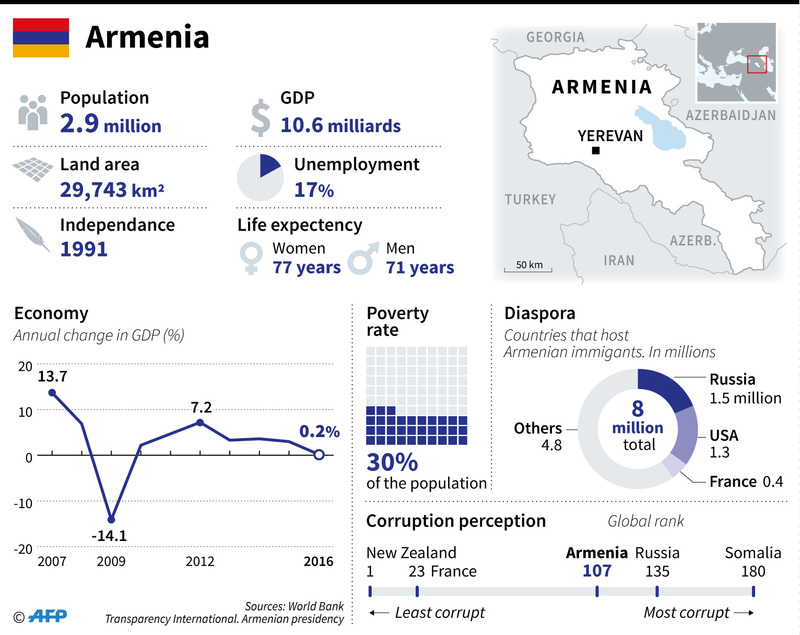 Soon after the parliament elects a prime minister, which will be on May 1, Armenia will hold snap parliamentary elections. 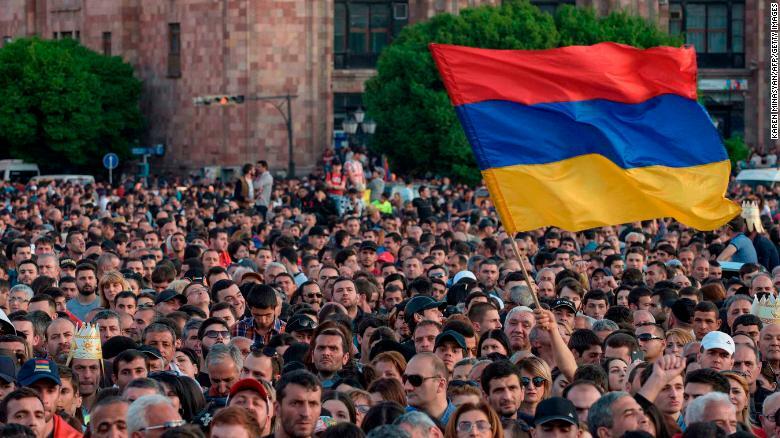 This week, we talked to Alexander Iskandaryan, director of the Yerevan-based Caucasus Institute, about the Armenian protests and the country’s future. Q: Why did Armenia’s prime minister Serzh Sargsyan step down after 11 days of protests? Iskandaryan: The legitimacy of his presidency and then-prime minister was very low. Sargsyan became president in 2008, the same year the economic crisis hit the world. There were a lot of economic and social problems in Armenia. At the start, the situation was very bad, then the economy stagnated. The social situation wasn’t brilliant. In those years the conflict with Nagorno-Karabakh became worse with four days of escalation in 2016. On top of that, there were the ‘usual’ problems that post-Soviet countries face, like corruption, monopolism, and oligarchy. All this did not make Sargsyan’s and his party very popular, even in the years before the protests. The trigger, however, was that Sargsyan said that he would not become prime minister after the constitutional changes of 2015. But when he did, it crushed the little bit of legitimacy there was left. It was a political mistake to think it would be possible to rule without any legitimacy. Then just a technical thing was needed: a popular person to come out to the streets. Opposition leader Nikol Pashinyan was really talented in that. Q: The 2008 presidential elections were also followed by mass demonstrations. Back then the government opted to use force to stop the protests, resulting in the death of 10 activists. Why didn’t Sargsyan decide to do the same this time? Iskandaryan: One of the reasons I believe he and his government didn’t is 2008. Sargsyan did not want to finish his political career or begin his presidency with violence. Another reason is that the situation was extremely risky this time. Two days after Pashinyan was arrested, the protests decentralized. There were a lot of people on the street but no leader. It was like a volcano with more and more demonstrations every day. It started with youth and students, but later older people weighed in, too. The rallies did not just take place in Yerevan but had spread to the provinces as well. Q: What will happen to Armenia now? Iskandaryan: It is chaos here. There are still thousands of people on the streets and roads remain blocked. I don’t think that Pashinyan will compromise on any of the Republican’s proposals. He wants to take the prime minister’s chair and maybe the parliament, too. If you use all the non-Republicans in the parliament, which is possible, you need ten more voices to create a majority. I am not sure, but this might work. If not, new elections. Q: Considering the most recent parliamentary elections were just two-and-a-half weeks ago, how likely is it that new elections will be held soon? Iskandaryan: I think that new elections will be organized, I am just not sure when. If everything goes very fast, it could mean we have elections in late May. The main problem is, however, that the leadership of the protests was extremely personified. Pashinyan’s political party consists of several dozens of persons. In order to organize new elections in such a short time, you need human resources. The situation in Yerevan can change by the hour, and it is the question of how long it can be without real policy working. If Pashinyan wants to replace the political system that was constructed by the Republicans, he will need people, programs, political parties, institutions and a shadow cabinet. This is a problem. It is early to say if the country will change for the better because of this unrest. 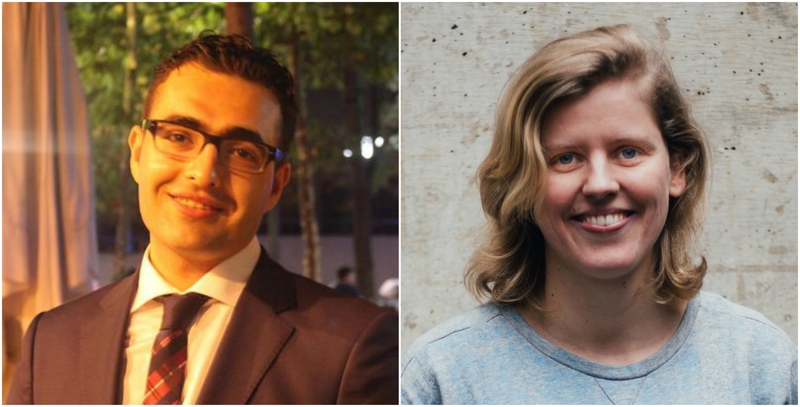 Fieke Snijder and Mahir Zeynalov host leading figures from around the world every week to provide an in-depth overview of one of the top news events of the week. Enjoy these series? Subscribe here.